This fantastic perennial has outstanding purple-black foliage and graceful, creamy white flowers tinged with pink. 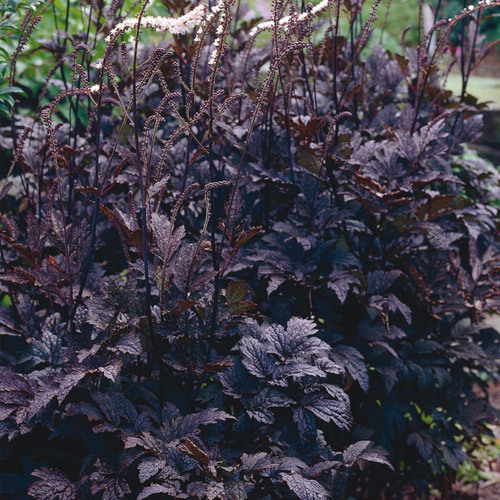 The fragrant flowers appear when most other plants have lost all their color, in late summer to mid fall. Does well in shade. 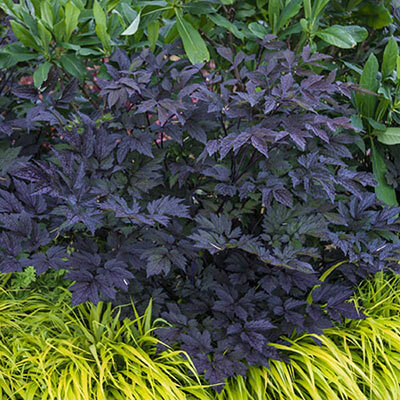 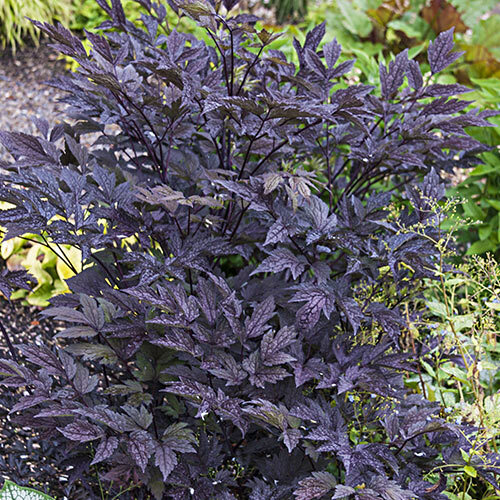 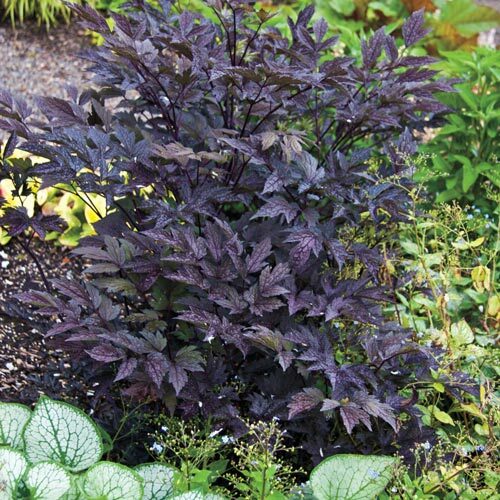 Purple-black (brown) herbaceous foliage that grow up till 28"